Trout fishing is the main reason why people visit Bronte Lagoon. Camping in this area is allowed for a maximum of 7 days only. After you turn off the A10 highway, you will travel approximately 2 kilometres until you reach the Bronte Lagoon boat ramp, where you will find the campsites, Bronte Lagoon. If you cross the dam wall, and travel a further 400 metres you will locate additional campsites. You can launch your boat at the Bronte Dam boat ramp to spend the day fishing on a lake that is highly prized by local and international fishermen alike. 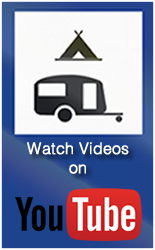 Please note, camping is only allowed in designated areas and there are no facilities. To camp in this area, you must be self-sufficient. 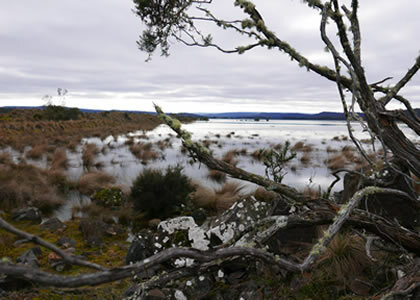 Bronte Lagoon is a Hydro Tasmania lake located in close proximity to Bronte Park in Tasmania’s central lakes district. Bronte Lagoon is located 150 kilometres, or app. 2 hours drive, north west of Hobart on the Lyell Highway. Bronte Lagoon offers excellent trout fishing, with a large self-sustaining population of brown trout and a smaller population of rainbow trout - the latter which are supplemented by stocking. The Lagoon is surrounded by grassy paddocks, with large areas of woodland on the Lake’s southern and south-eastern shores, creating a perfect fly-fishing location. You will find the Bronte Lagoon camping area to the west of the A10 Highway, south of the B11 Junction. Access to the camping area Bronte Lagoon is signposted off the A10, app. 200 metres south of the B11. Bronte Lagoon is managed by the Inland Fisheries Service of Tasmania as a Premium Wild Trout Fishery. Natural recruitment of brown trout and periodic stocking of both rainbow and brook trout into Bronte Lagoon maintains the quality of the angling in this fabulous fishery.